Using YouTube as an adult means that you can police yourself (or not) and load and view material as you wish. YouTube is just as accessible to your kids, however, so how do you teach them responsibility when it comes to what is appropriate video material? Some years ago, when my daughter was 12 years old, the class was performing in a school musical. A film was made of one of the performances, and pieces of the musical were loaded to YouTube. They were great pieces, and it was lovely to be able to show the performance to distant family. Some of the boys in the class had also secretly filmed the girls rehearsing, and loaded that rehearsal to YouTube without the girls knowing. Once the girls found out, there was a big fuss, parents and teachers became involved, and the film was removed from the internet. So how do you prevent your child either breaking YouTube’s community guidelines, or having films of themselves on posted to YouTube without their consent? Here are three ways to help. 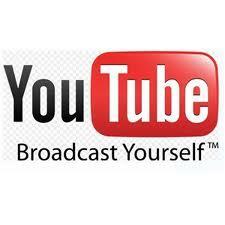 1 Approximately 48 hours of video are uploaded to YouTube every minute. No content is reviewed before loading. YouTube rely on viewers to help them identify videos that potentially violate their Community Guidelines, and thousands of videos are flagged every day. Once a video is flagged, YouTube staff review them. If they violate their Guidelines, they come down. If they don’t, they stay up, but YouTube can add an age-restriction. 2 Sometimes a video is posted without someone’s consent with content you would rather not have broadcasted to the world. If a video contains your image or other personal information and you didn’t consent to it, you can submit a privacy removal request. 3 The people at YouTube want your YouTube experience to be a positive one. They will listen and they will try to help. Community guidelines are there to protect you. As a parent, read the community guidelines, and talk to your kids about what they want to do on YouTube, what their friends are doing on YouTube, and what things you consider appropriate for them to watch. Talk about how to flag a video as unsuitable, and how to get a video removed if necessary. If you want to know more about how to help your kids use YouTube or other social media channels contact me on info@knowboundaries.nl.